Crowd funding continues to play big in technology and the star of today continues to be Kickstarter. The site is a funding platform for creative projects including films, games, music, art, design and technology. According to its site, through it, more than 2.5 million people have pledged more than $350 million to projects posted since 2009 by everyone including company CEOs to hobbyists. Each project is independently created by the person behind it, who have complete control and responsibility over their projects. If people like the project, they can pledge money to make it happen. If the project succeeds in reaching its funding goal, all backers’ credit cards are charged when time expires. If the project falls short, no one is charged. Funding on Kickstarter is all-or-nothing. In most cases, the majority of funding comes from the fans and friends of each project. If they like it, they’ll spread the word to their friends, and so on. Given the scope, there’s an obvious need for something similar in the healthcare space. Hence, it’s good to see MedStartr emerge, a new crowd funding site dedicated solely to the healthcare space. Medstartr encourages users, such as patients, entrepreneurs, physicians, researchers, nonprofits, artists, filmmakers, musicians, designers, writers, performers and others to drive healthcare forward. Unfortunately, though, it doesn’t appear that much money has changed hands using MedStartr, even though there is a clear need. For example, of the four successful projects featured on the site, one of them is for the launch of MedStartr. The other three only grossed $23,733. That’s a far cry from some of the projects funded on KickStarter, which reach as highas a few millions dollars. Okay, so it’s not important that the funding goals are so far apart. In principal, the two sites are competitors, I guess, but they serve much different audiences for the most part. However, given the continuous chatter for improved tech tools the healthcare market needs, and that we’re in the age of do-it-yourself, I surprises me that more people, entrepreneurs and so on, are not using the service. There are a few apps featured there, and some community events (like conferences), but very few systems or technology that can be used to actually enhance or better healthcare for providers or patients. At least to this point, anyway. It makes me wonder if MedStartr simply needs to conduct a better PR campaign (call me, I’d be glad to help) or if there’s just not an appetite for micro, crowd-funded project in the healthcare technology space. There’s a draw, though, and with time there’s a god chance that many good things will come because of the site. Hopefully so. I’d like to see it embraced, and I’d like to see it succeed. If for no other reason than it’s good for all of us, and may be good for our health. Perhaps creating an opportunity is nothing more than observing the details and taking action once one has been identified. Lack of opportunity, on the other hand, might be the opposite – keeping your head down and barreling through life without taking an adequate measure of the terrain in which you are navigating. The feds missed an opportunity. During their planning and roll out of meaningful use, in their effort to collect the health data of this country’s population, specialists, in many cases, were not considered as recipients of their meaningful use incentives. For many specialties, this might not apply. But pediatrics are different entirely. Not so much for the physicians’ sake, but for the patients they serve. Given the direct marketing plan that the federal government has undertaken with its latest healthcare pet project, Blue Button, I’m surprised by its lack of foresight related to patient involvement to this group when it comes to meaningful use. As the feds work desperately to change the perception of electronic data collection, and to move the most information into electronic records as possible, one might think the best way to ensure absolute adoption is by requiring the one group of physicians who might be able to affect the longest term change to participate in the incentive program. Pediatricians, like it or not, have not been given special treatment as far as meaningful use is concerned. They, like another large group of physicians, OBGYNs, are left to fend for themselves. You can read more about OBs and their fierce independence in my recent interview with digiChart’s CEO Phil Suiter. The reason is well known and obvious: these groups of caregivers don’t necessarily rely on the government (Medicare/Medicaid) to keep their doors open. The nature of pediatric practice is such that Medicare is not a significant part of their practice so meaningful use incentives don’t apply here. Therefore, the only avenue left for pediatrics is the Medicaid option – and it only works for practices that have more than 20 percent of their volume as Medicaid. In most cases, these groups of physicians don’t meet the minimum requirements of serving Medicare and Medicaid recipients to qualify, and, also in most cases, they don’t go out of their way to do so. Therefore, given the logic that A+B=C, they are not lining up to get their share of the incentive checks. But, one would think the feds would try to find some way to make an exception for pediatricians to participate in meaningful use without having to meet the minimum requirement that 20 percent of their population participate in Medicare. I’m not trying to re-open an issue that I know has been discussed countless times; I’m trying to make a different point. That is, given the new push for patient engagement and the social media-like approach being taken through the Blue Button movement, I believe the importance of pediatricians has been overlooked. Why? Well, it’s obvious to me that to engage a population, it’s best to change the population’s behavior. To do so, you have to catch them young; so young that they never knew a difference otherwise. For example, children today will never know what life was prior to the web. They won’t be able to imagine life before mobile devices turned us into an always on society. There’s a lot they’ll never know. Thus, if they are exposed to electronic health records in their doctor’s office as they grow up, by the time they reach adulthood, they’ll expect their doctors to use nothing but electronic health records. In fact, they won’t even know what to do with a paper record – how to read and understand it – and, therefore, won’t give their money to doctors without the systems. It’s really the most direct route to changing a population’s behavior. Sure, engaging the adult population through a service like Blue Button is important, and will certainly help fill the gap currently experience in healthcare’s ownership issue, but as we’ve seen in every other area of life, true change won’t come until those who know no other way become the majority and know no other way. Is the ONC Blue Button a Lot Like Staples’ “Easy Button”? As the self-proclaimed ONC Blue Button movement gains steam and more members of the public sign up to make sure their data gets downloaded, it seems the Office of the National Coordinator, among others in the fold, have borrowed a marketing campaign from office supply chain, Staples. The “Easy Button” is vernacular for something that get done at the press of a button, even if said task isn’t necessarily as easy as just pushing as button. Obviously, that’s the point. Same goes for the Blue Button. From a marketing perspective, the concept is genius. With the simple push of a button, you too (read: “consumer/patient”) can have instant access to every last bit of your media records and personal health information like never before. With the campaign just getting started, there are already more than one million people who have signed up for the Blue Button service (sounds sort of like “black tie event” when I read it like this). Eventually, the movement will take hold, no doubt, and the consuming public will be on board like never before. I anticipate Blue Button will grow enormously, similar in nature to the culture that social sites the likes of Facebook and Twitter have become. Not that we’ll sit around sharing our records with those who “like” us or posting comments about each others ailments and conditions, I think people will perceive blue button to have the same value. It’s about access to information – information that until now many people have not realized they owned or had access to – instantly, as long as Blue Button is available to them. That’s the catch after all, isn’t it? Blue Button has to be available to consumers for them to be able to push that little easy button. Seems like there are only a couple things that might keep someone from it. The most obvious is that a patient’s physician must have a meaningful use EHR in place. Another is that the practice must choose to offer the service. It goes without saying, then, that consumers without insurance most likely won’t have access to Blue Button as they’ll likely not have access to a regular physician with a certified EHR. The current healthcare reform may change this slightly as more people will be “encouraged” to insure themselves. And, as practices move to EHR, access to Blue Button will increase. All of these details are beside the point. Right now, it’s about the marketing. Making sure patients know that the health information that is rightfully theirs can be in the palm of their hands as easily as pushing a little button. As we know, or so we’ve hypothesized, that the more you can engage patients in their care, the better care they’ll take of themselves. And you’ve got to hand it to the ONC. Creating a message that directly engages the public rather than hoping that physicians and their vendors will carry the task is something I have long advocated for. So getting us, as patient consumers, to engage in and to own our care really took little more effort than developing an app and marketing it directly to the people. Looks like my suspicions are correct. Most health data breaches are inside jobs. But, what’s surprising, according to a somewhat recent survey from Veriphyr — an access and identity provider – is that the majority of data breaches of medical records is by practice employees. Also gleaned from the survey is that of the hospitals and healthcare facilities surveyed, 70 percent reported some form of data breech. Data breeches cost healthcare organizations more than $6 billion a year, according to Veriphyr’s CEO, Alan Norquist, so they really are big business. Accordingly, some steps to limiting internal data breeches is to continuously educate your employees about the dangers and consequence of handling HIPAA-protected data appropriately, and in some case, it’s may be necessary to adopt new policies to help manage how data is accessed. For example, if personal devices are allowed to be used in the work setting, you need to establish some rules to protect the data the the devices access, and in some cases, you’re going to have to offer support of the devices. For more details about how to create a BYOD plan, take a look at this recent post: Creating a BYOD Plan Protects Your Practice and Your Employees. Nevertheless, the information about data breeches is shocking. The number of employees sneaking peeks at patient’s profiles is like the rest of the world surfing the social profiles of complete strangers. Sure, the information is there, but that doesn’t mean we should take advantage of it. This line pretty much sums it up: Improve quality of care through electronic health records. Apparently, it’s a motto of sorts for the New York City Department of Health and Mental Hygiene. Not bad when you think about it. Sort of has a “I-love-health-IT” ring to it. As cool as the organization’s unofficial motto, it features a wealth of great information about the benefits of EHRs, how they can improve healthcare and patient outcomes and steps practice leaders need to take when working to protect the data contained in the records. As such, NYC’s health department site is filled with great advice for practice administrators to take to create proper procedures and practices to maintain data security. To this point in the meaningful use experiment, Phil Suiter, CEO of digiChart, has had the privilege of sitting at the front of one of healthcare’s greatest movements. From his place, he’s watched the market act and react, and has seen colleagues seek solutions to corner their respective markets all in the name of providing the best service for the most people. Suiter, however, may have a view of the current health IT landscape like no other. Leading a specialty only provider of electronic health records and practice management systems, digiChart serves only OBGYNs. Long before healthcare reform and the thought of meaningful use, digiChart created and built solutions solely for this space, and, unaplogoetically, will continue to serve the space. Plans for expansion may one day include moving into the pediatrician market, which seems to be a safe bet given the connection between the two specialties, but according to Suiter, that’s not a plan actively being pursued. What’s interesting about digiChart’s position, as Suiter tells it, is that even though meaningful use is vitally important to digiChart and the company has helped many physician achieve stage 1, OBGYNs have not voraciously jumped aboard the program. What this means, he says, is that it’s a clear sign that the OBGYN market continues to live up to its reputation as a fiercely independent group of healthcare providers. Suiter said that only 20 percent of all digiChart’s clients have chosen to pursue meaningful use. Apparently, the other 80 percent have chosen to overlook the federal incentives and go at it alone. From conversations he’s had with clients, they’re just are not seeing the benefit of meaningful use, especially for all of the work required with the only benefit is $44,000 over five years. Being profitable means they’ll ultimately forego Medicare patients to avoid the federal penalties levied against them for not meeting meaningful use. In many cases, they don’t see enough Medicare and Medicaid patients to make all the effort worth their while, Suiter said, so the work required simply is not worth the effort. And, frankly, the question remains: Is the federal money going to still be available as stage 2 progresses? And, what happens in February 2013, should a new administration take office? Despite the answers to these questions and whatever happens with the election in November, Suiter sees plenty of change ahead for the market. For example, EHR vendor contraction is coming after a period of great anticipation. He predicts the market will dramatically shrink from more than 400 companies to less than 100, many fewer of them actually viable and sustainable long term. At the same time, he believes hospital’s appetite for buying and owning private practices will disintegrate as soon as 12 months from now. “I think we’ll see a disgorgement of practices by hospital systems within the next 12 to 18 months,” Suiter said, marking the end of a repeat performance last seen in the mid-1990s (1995, ’96 and ’97, he said specifically). Hospitals have been voraciously trying to align themselves with private practice to capitalize on funds generated from meaningful use; however, they don’t seem capable of effectively managing private practices and their employees as they seem to be able to do with their internal systems and hospital employees, he said. Private practices are too independent, for the most part, he said; especially, OBGYNs. The fiercely independent group of physicians might have all the leverage they need to withstand outside pressure for adopting new technologies or changing the way they run there businesses at this point in their careers. The average physician in the OBGYN space is 62 years old. At this point in their careers, they are not particularly interested in becoming hospital employees and if they are not interested pursuing meaningful use, which seems to be the case, they’ll either retire or go their own way. Clearly, the technology used in healthcare will gain greater acceptance as new doctors enter the space. As colleges begin to implement the systems to train their residents (which they are not readily doing now), perhaps the appetite within the space will change. Clearly, there’s room for more adoption in the market Suiter serves. But, digiChart is positioned well, serving a market it, and Suiter, understand, and know they’re place – as leaders – in it. There are very few vendors that can represent the specialty space well, especially in the land grad market of one-size-fits-all solutions penetrating the market. DigiChart and Suiter seem to understand that sometimes it’s better not to be the jack of all trades, but a master of one. I had a conversation with a family member today. She’s getting to the point where it’s time to start thinking about taking some precautionary tests to determine whether or not she needs to pursue additional screening for some health issues that have run in her family. She’s obviously concerned, and scared, to find out the results of what those test might show. So much so that she might even be able to be convinced not to pursue them. We’re in a new age of healthcare. With all the benefits gained because of electronic systems, and all the promises they are supposed to deliver, there are some unintended (perhaps they actually are intended) consequences that we as patients need to consider. Our health information is now easily tracked. As soon as it enters the electronic record, it’s like it’s gone into the vault. No matter what, it will always be there, like a small deposit into a savings account; earning interest until it needs to be withdrawn. Obviously, paper records could contain the exact same information as an electronic health record, it’s just the information is a little less searchable; perhaps a little less likely to be found. Multiple pages from multiple locations sometimes just seem to come together as easily as a record where a couple of buttons can do all of the collating for you. So, upon requesting some of the tests she thought she needed, my relative’s physician stopped her for a second to caution her. The doc simply said that if she submitted the information into her record it would always be there, like a glaring error, forever, for all the world to see; for insurance to question — as a way to establish a possible prior pre-existing condition. For fear of being dropped from her insurance in the future or having her claims denied when she needs them paid, my relative decided to forego the tests. She took her doctor’s advice, like she usually does, and cancelled her test request. Better not to raise any red flags, she decided. Better to practice cautionary care rather than let her insurance carrier be alerted now to something that might be nothing anyway. See, like it or not, this is the age we’re in. Cost controlling comes down to care control in some cases. Having worked in insurance, I understand how this game is played. In this case, a doctor cautioned against a test, necessary or not, to protect her patient in the long run and to ensure she remained insurable for the short term, at least. Sadly, though, in the long term, she may lose more sleep over not taking the tests rather than worrying about what might live on in her electronic health record. But that’s the era in which we live and these are now the decisions we must face, like it or not. Maintaining the security of a practice’s EHR data is probably one of the biggest reasons physicians decide to implement one in the first place. With all of the reported benefits of electronic health records or their paper counterparts, the information kept guarded in your electronic system clearly is more secure, in most cases, than paper. In addition to being able to securely protect your clinic’s data and patient information, there’s a clear advantage the EHR offers over paper records in that you are able to monitor, track and audit everyone who has ever accessed certain data and viewed specific records within your system. 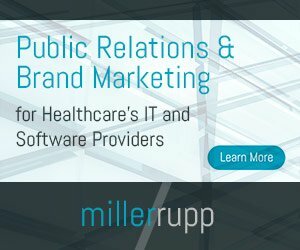 This feature is especially valuable when you need to track employees who you think may be trying to gain access to information they should not have access to, as was the case recently when a Florida Hospital Celebration Health employee illegally accessed the personal data of multiple patients. According to American Medical News, fortunately for the hospital, through its EHR it employed a tool known at role based access control, or RBAC. With RBAC in place, an organization is able to allow system users access to only the information employees need to perform their jobs. Obviously, role based access control systems can be used in any business setting where leadership determines certain information must be protected, as is the case in healthcare and hospital setting where HIPAA is concerned. What seems to pique my curiosity the most, though, is just how much data snooping occurs in healthcare settings. I’ve often wondered how much of my personal information, like my social security number, birthday and home address are exposed to people who really have no business seeing it, and if it’s seen by an inappropriate person, is anything done about it. So, to most fully protect the data included in the record, practices should take whatever precautions needed to protect the data captured in the electronic health record. As stated above, this allows you to define access privileges of each staff person and ensures that only authorized providers can see patients’ health information. Administrative staff should be restricted to basic information such as address, date of birth and other demographic information. Practice leadership should be the only people who are responsible for establishing the access privileges of staff members. Audit trails track activities within the EHRs. Documented events in an audit trail include a staff member logging in or out of the system, opening, modifying, creating or deleting a record, scheduling a patient, signing a chart, querying the system or printing personal ealth information. Audit trails also document the date and time of an event, where the event occurred and who performed the event. Again, only authorized administrators should have access to read these records. No one, not even the office administrator, should be able to modify or delete audit trails. EHRs must require a password to access the system. EHRs should be able to support additional passwords or identifiers for each user. The practice administrator should be able to define the rules for password complexity and expiration, like the practice may require all users to have passwords with five letters and at least one number, and that staff members change their password every three months. The system must automatically log out a staff member if they forget to log out or leave the screen inactive for a period of time. The system must also require the user to enter his password to get back into the system. If someone repeatedly tries to enter the wrong password, the system should lock the user out. This keeps people from guessing other users’ passwords. EHRs should encrypt patient data, which helps to protect data if hardware is stolen or messages are intercepted. EHRs should have the ability to print, store and display patient consent forms. All in all, pretty standard information, especially if the EHR you operate performs to industry standards. If you feel the need to contract with an outside vendor for such services, they do exist, are relatively inexpensive and are experts in managing audits and ensuring your data is safe. Ensure these steps, though, and create and audit schedule so your information and mine remain safe.